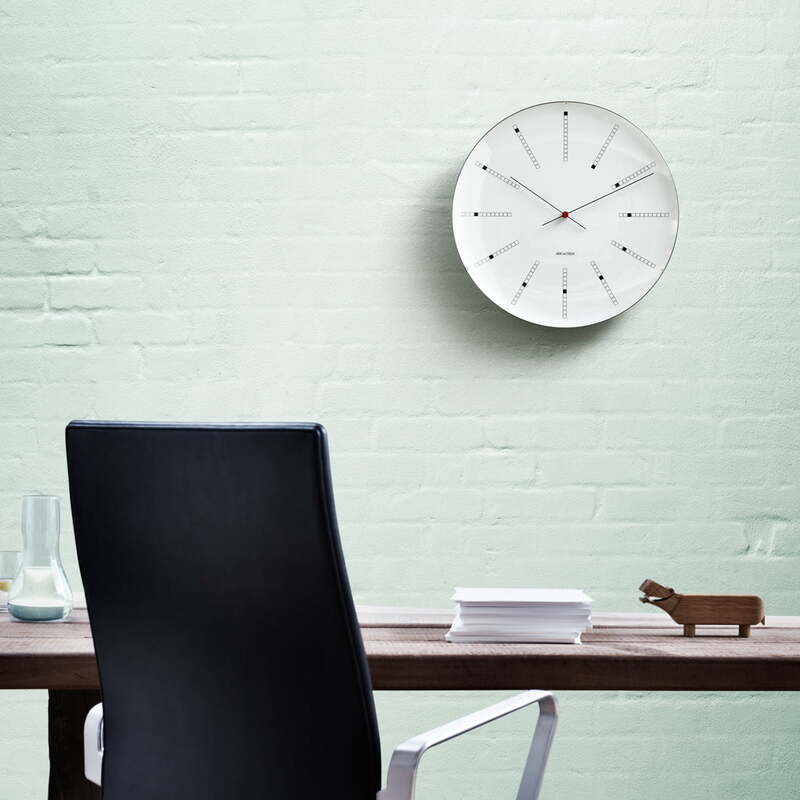 The Arne Jacobsen wall clock classics are back! Arne Jacobsen might be the most famous Danish architect and designer. Legendary furnishing designs made Jacobsen famous far beyond Denmark. 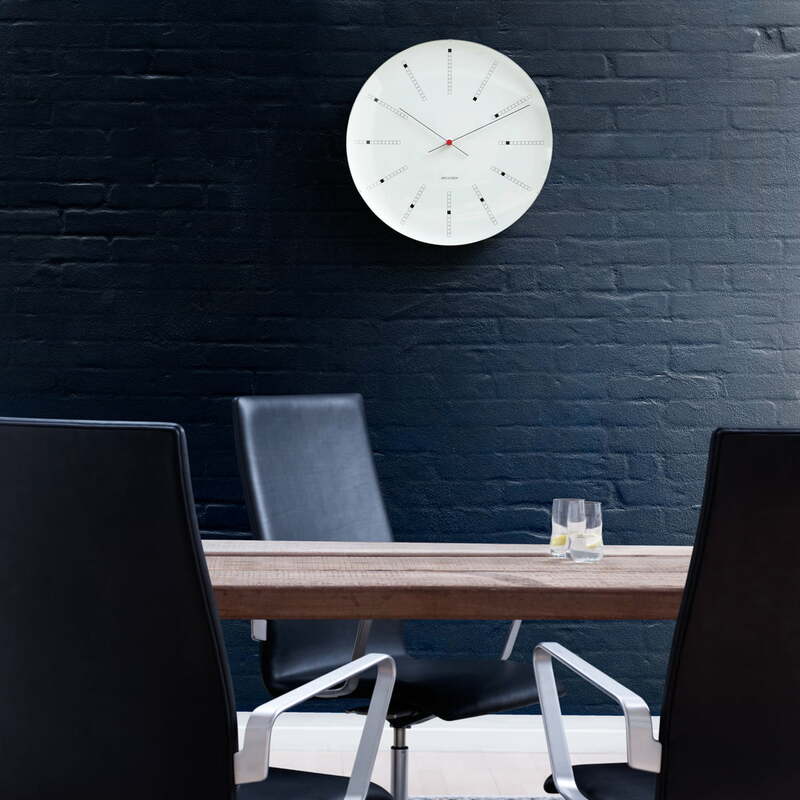 AJ Bankers wall clock The Bankers clock by Arne Jacobsen was initially designed for the building of the Danish national bank in 1971. 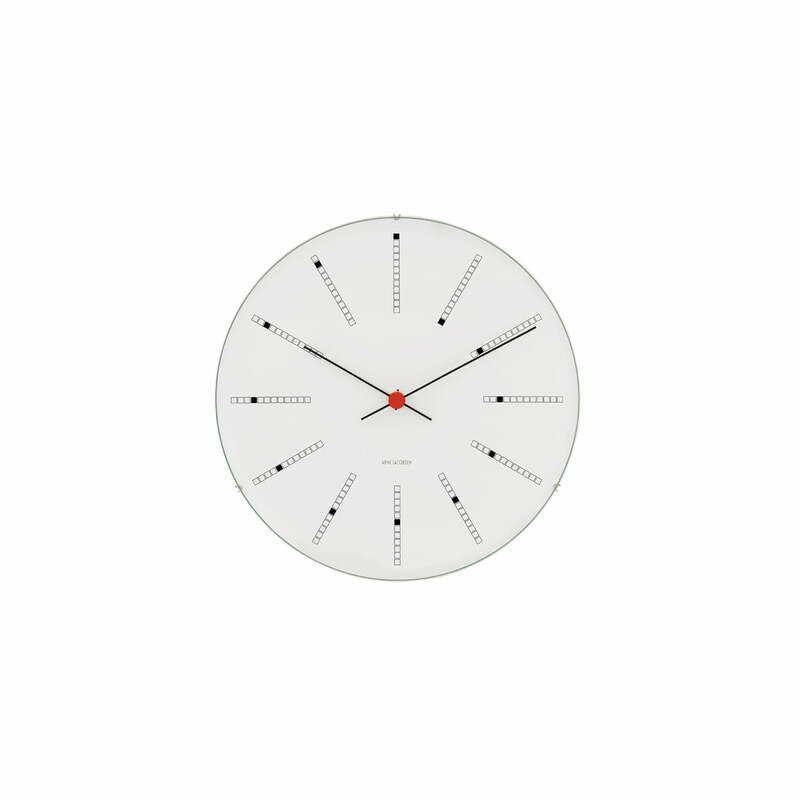 The most recent of the three designs shows an abstract face with a bar (subdivided into twelve sectors) that displays the hours, so that the sector is moved by one sector every hour – instead of having conventional numbers. This means that the dial displays a spiral form construction from one to twelve o’clock. 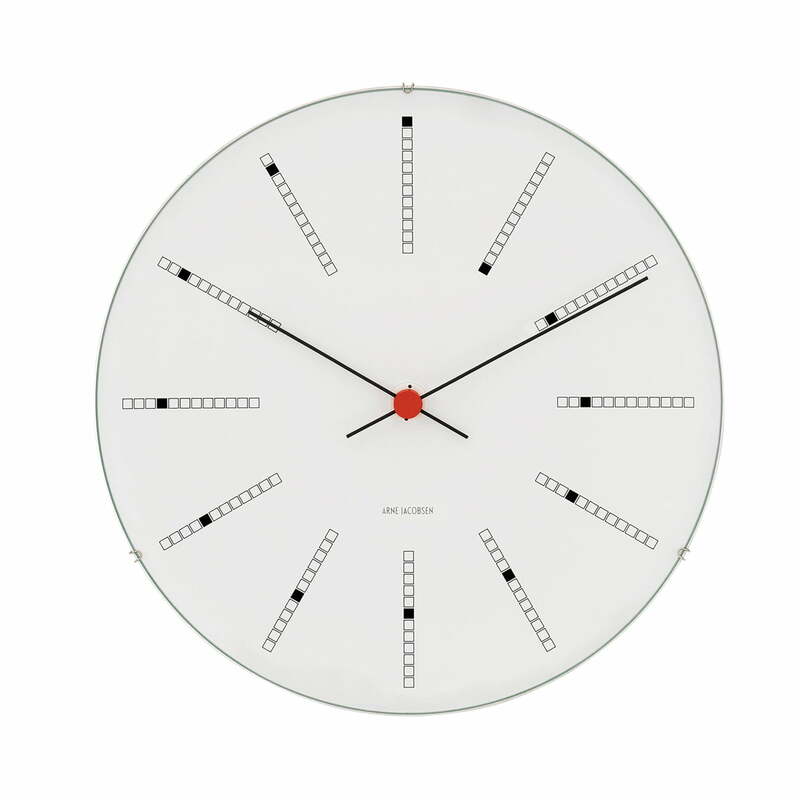 All AJ clocks by Rosendahl embody an interesting cross section of modern times in a unique way in an Arne Jacobsen design over a period of 30 years. The housing of the clocks consists of aluminium and mineral glass. The clockwork is from Japan and is powered by an AA-battery (1.5V).